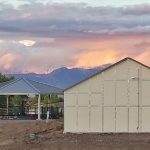 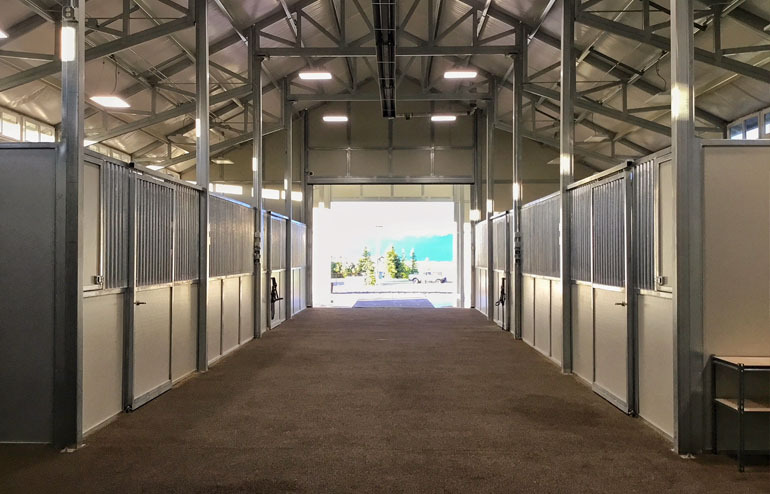 Copper Spring Ranch in Bozeman Montana, partnered with Coffman Barns to build their new stud and breeding barn and the roof structure for the hot walker. 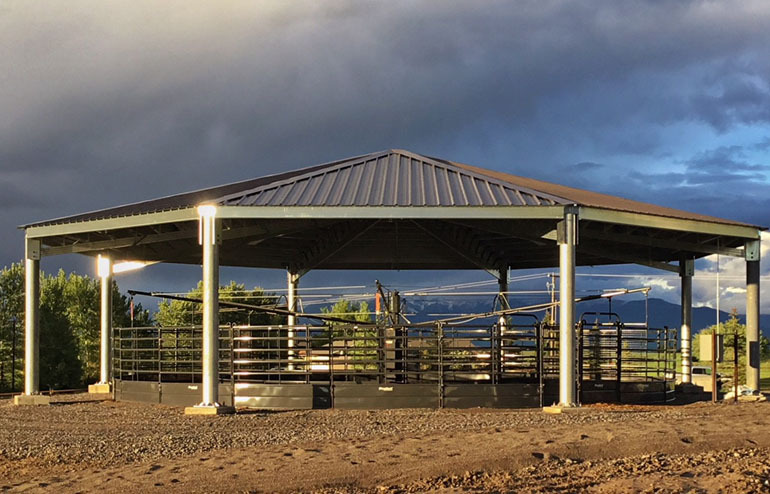 Copper Spring Ranch chose Coffman Barns, authorized MD Barnmaster dealer for Montana, Colorado and Wyoming, because of the specific requirements they needed to withstand Northern Montana weather conditions. 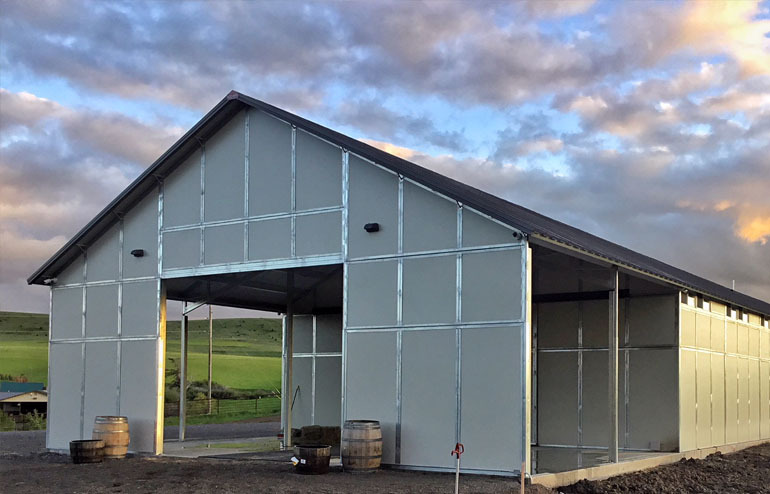 MD Barnmaster’s 2” insulated exterior wall system with solid foam board helps keep the freezing Norther Montana cold out of the barn while still offering the steel lined interior. 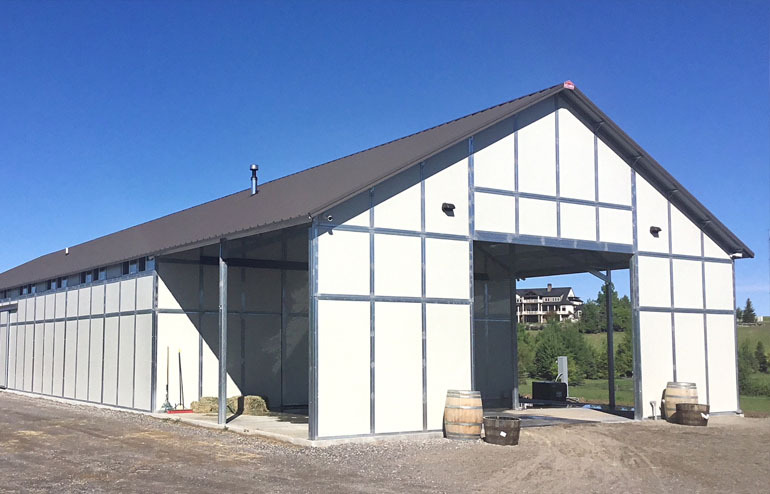 Combine this with the optional insulated roof system can help keep the barn around 40 degrees inside when its 20 degrees below. 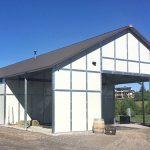 The Copper Springs Ranch Barn and Hot Walker roof structure were specifically designed to withstand the heavy snow loads required for Northern Montana. 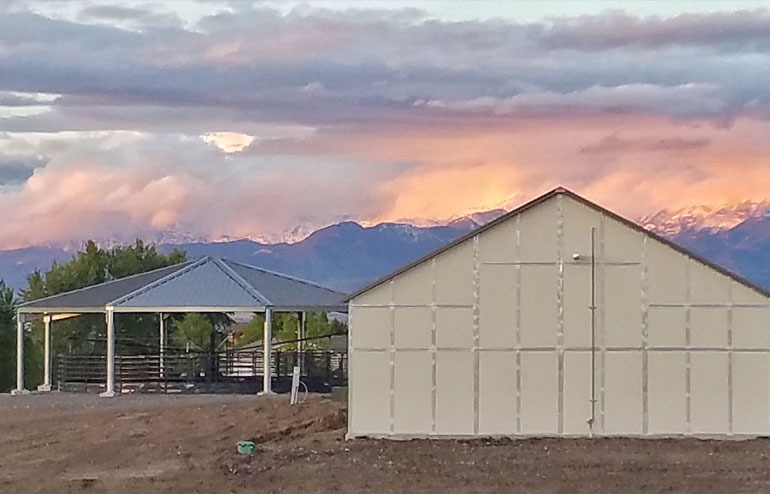 MD Barnmaster’s barns and roof structures are engineered for local weather conditions. 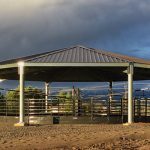 MD Barnmaster was able to provide a 36’ x 40’ freespan roof system to allow freedom for an unobstructed array of breeding operations needed by Copper Springs Ranch. 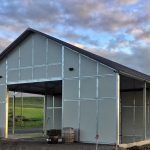 MD Barnmaster’s has perfected modular barn building since 1975. 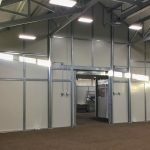 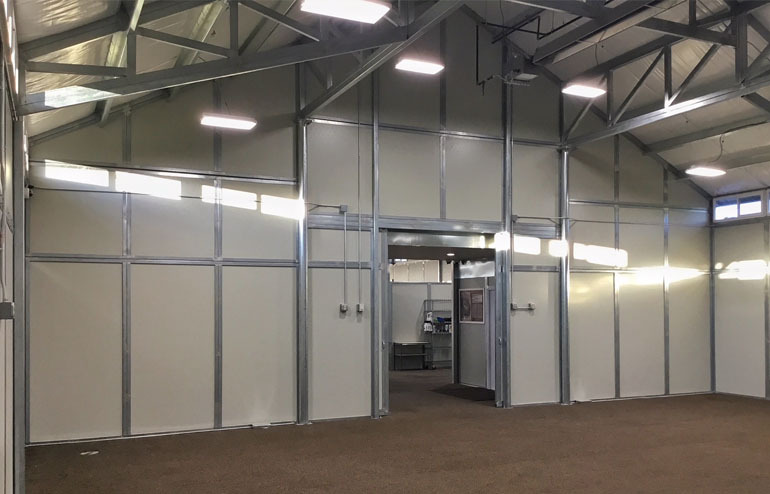 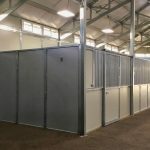 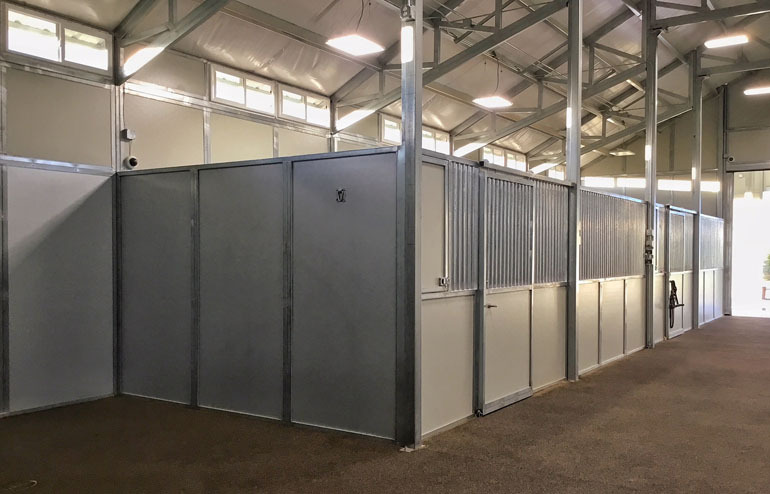 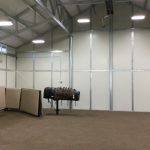 Divider walls can be engineered to be removed allowing for extra large stalls such as the 12′ x 24′ sizes required by Copper Springs ranch to accommodate large stallions. 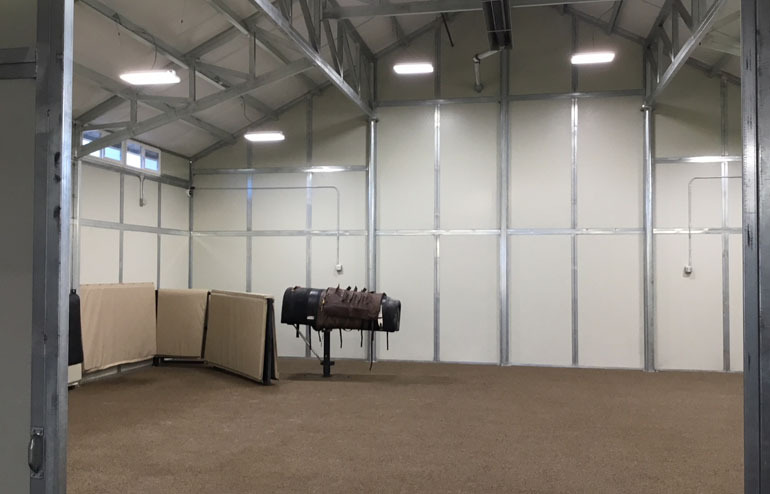 MD Barnmaster provided the Copper Springs Ranch with insulated windows that can be opened for ventilation during summer months. 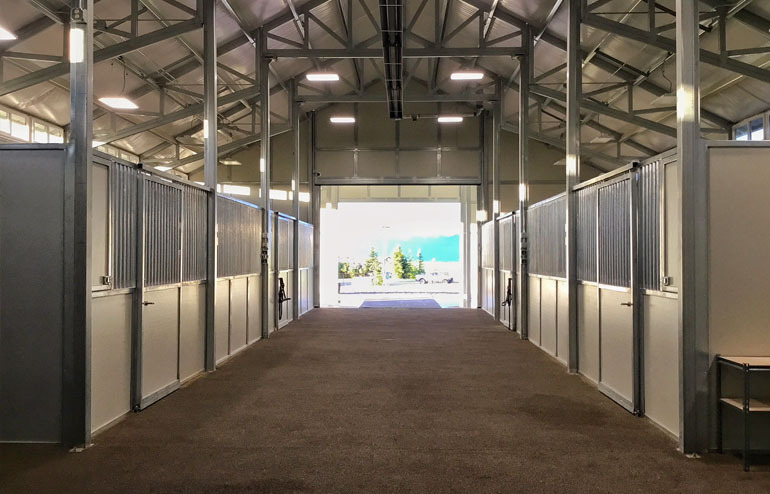 The Copper Spring Ranch Montana Barn Project features MD Barnmaster industry leading safety features including lifetime kick/chew proof warranty, 0% fire spread rating, low maintenance and easy sanitizing to prevent disease. 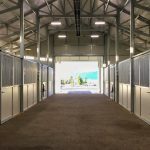 About Copper Spring Ranch: Based in the Northern Rocky mountains of Gallatin County, Montana, Copper Spring Ranch breeds, raises, trains and sells American Quarter Horses that carry popular speed-bred and classic blood lines. 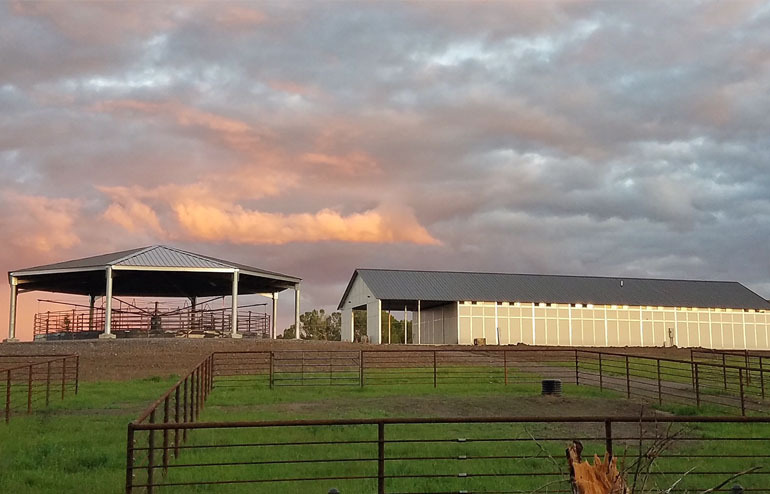 This traditional working ranch also raises and sells hay and Corriente cattle. 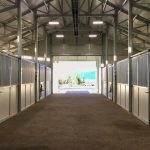 In addition, the ranch stages regional barrel races, team ropings, sales and clinics at the ranch’s modern indoor and outdoor arenas. 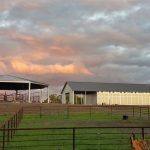 Owned by the Gilhousen Family, this contemporary ranch takes pride in following the true Montana ranching lifestyle and helps support this state’s ranching and equine industry.